Our technicians are about the most skilled and professional anywhere in the country, and the results we deliver are second to none. 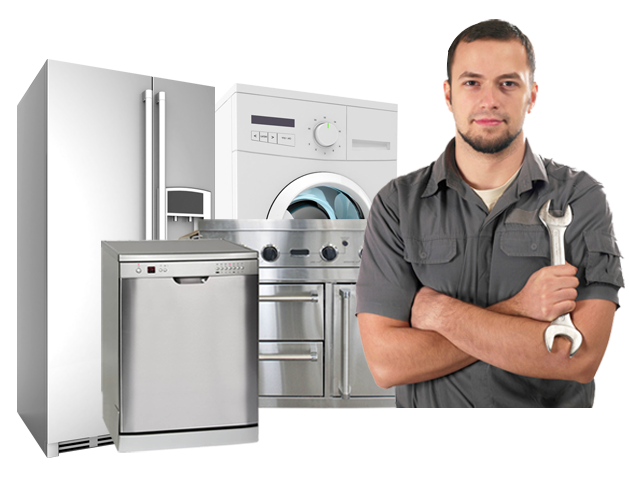 We specialize in repairing damaged appliances of all types, and have experience dealing with well over thirty different makes and brands. We deliver some of the finest vent cleaning services, at the most reasonable price anywhere in Utah. Repairing your damaged or improperly working appliances does not just save you money; it can improve the safety of those living or working in the same building as the appliance. Our electronic devices make our daily lives much easier, but if they are not working properly, they can catch on fire, or otherwise malfunction catastrophically. Call us today to find out why we are number one in the state. Appliances that are not properly maintained often do not work as efficiently when they have not been serviced recently. They are also more likely to break in a way that makes them impossible to repair. Getting your appliances checked and repaired regularly can actually save you money in saved power, and the possible cost of replacing the electrical device. Dishwashers are some of the most common items in the home to need maintenance to work properly. These devices make our lives much easier, but they are expensive, and must be used and maintained properly to ensure a long life. We can get your dishwasher working at its full capacity once again. Washers and dryers are another common household item that commonly breaks. We specialize in, and have experience repairing several different makes and models. Our expert technicians are highly trained and skilled, and always provide the highest quality workmanship, using the highest quality parts. If any of the appliances in your home are in need of repair, please do not hesitate to call us, we have been the trusted experts for many years. It doesn’t matter what type of appliance has broken in your home, chances are we can fix it. Garbage disposals receive a lot of wear and tear in their normal use. Many people overuse this device, which can lead to damage that is costly to repair. We have the skills and the know-how to keep your disposal clean and running like new. Ovens are some of the least likely appliances to break in our homes, however, when they do, they often cost several thousand dollars to replace. We are highly skilled in repairing damage to ovens, and we often save our customers a large amount of money. Whether it is your refrigerator, microwave, washer or dryer, garbage disposal, or any other appliance in your home, chances are we have the skills and the know-how to repair the damage at a reasonable price. Call us today to speak to one of our trusted appliance repair Utah experts.